Descend into the depths of an alien underwater world filled with wonder and peril. Craft equipment, pilot submarines, terraform voxel terrain, and out-smart wildlife to explore lush coral reefs, volcanoes, cave systems, and more - All while trying to survive. Subnautica's story, scares, and beautifully rendered underwater setting make it one of the most fascinating survival games around. You will always have to grind away to a certain extent to gather necessary resources, but the overall experience is both accessible and refined. Subnautica may not make you eager to get back to the beach this summer, but right now there is no better virtual way to experience the beauty, and the terror, of the deep blue sea. Collecting food and water, building an underwater habitat, and surviving the elements are all satisfying aspects of the experience, but that’s only because Subnautica’s palpable ambience, cerebral story, and powerful fear factor compliment that familiar routine with some of the most memorable moments I’ve played in a game of its kind. It’s very likely that you’ll never want to go near a beach again after playing Subnautica, but soak up its array of nautical sights and sounds, and I promise you won’t regret the dive. Subnautica is gorgeous and enthralling, offering rewarding progression and a fascinating world. The story is well told, and it offers a crafting system that is easily accessible even for players who aren’t familiar with survival games. With fantastical sea beasts, fun gadgets to build, and a sci-fi story that gets its hooks into you, Subnautica is as deep as its sprawling ocean. So far Subnautica has been the outstanding title of 2018 for me. We're only a month in, but the time I've had with this game has been incredible, and I'm sure it will be a game I remember in December when the year is wrapping up. Even after completing it, I'm itching to go back and see what nooks and crannies I missed. There are whole biomes I barely had the chance to explore, even after almost 40 hours in the game. Despite how dangerous the oceans of Planet 4546B are, I am left impressed by their beauty, and the diverse and wonderful life I found during my journey. You build yourself up with new vehicles and a bigger base; you get confident, nothing can scare you now. You venture to get new materials you’ve not found before. Then you hear something you haven’t heard before, look to your left and something twice the size of you comes out of the blurry deep, and those are the moments Subnautica frightens, amazes, and surprises all at the same time. Spread across the three years this game has been playable I’ve put in 44 hours, and those moments still happen - consistently. Even when I was on the right track, it didn't always feel like it. There's also potential for minor graphical weirdness from time to time, as well as pop-in. Otherwise, it looks and plays beautifully. There's no denying that cooperative multiplayer would've been a fun bonus, but I don't miss its absence too much. Subnautica works brilliantly as a serene, lonely, contemplative adventure. It's one of those rare games I'd take to a desert island. Subnautica is a template for what open-world survival games should strive to be. It’s fantastical, fresh, and frightening from surface to seabed, with a story that kept on surprising me and a cast of sea monsters that quite literally haunted my dreams. Even with more than 50 hours sunk, I have yet to discover all of its secrets. It’s a testament to how enticing those secrets are that I’m willing to face my fears and plunge my submersible into the darkest corners of its unforgiving ocean again and again. After spending just under 60 hours with Subnautica, it’s still a bit strange to say that I’ve actually completed a survival game. Overall, I enjoyed my time under the sea in spite of the flaws. If you’re remotely a fan of survival games, this should definitely be something that you check out. Just bear in mind that there are still a few kinks to be worked out and you’ll have a grand ol’ time. I enjoyed how the story unfolded. 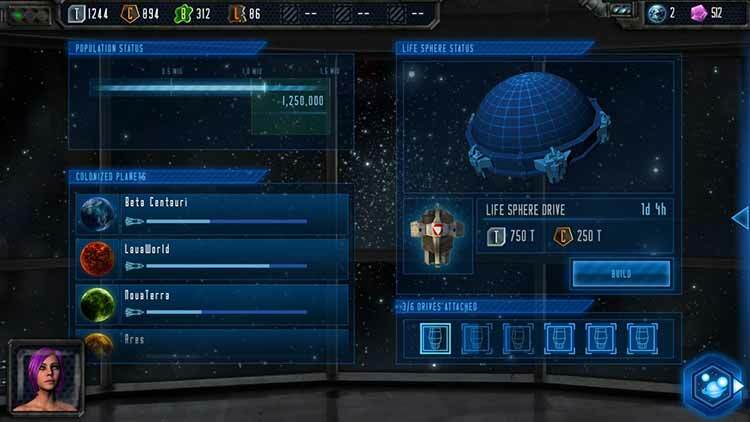 The game lets you engage with it as much as you choose and at your own pace, offering information to keep you moving if you want a specific task. The main arc was compelling and had some lovely emotional moments but it struggles to create a meaningful connection with anything off-world. By contrast, you develop a real affection for and familiarity with this alien world, so some story strands put me at odds with my avatar's purpose, or at least just couldn't hit home. 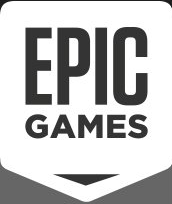 A great game that took five years to make. Subnautica is an open sandbox sci-fi fantasy that can inch it's way into horror as you explore the depths of the ocean world. Just be ready to farm! Survival and exploration are equally exhilarating and petrifying, as sound and music disappears and all that’s left is the frightening and impenetrable shadows surrounding you. As you look down into the depths below and see only darkness, you never know what may be down there, coming for you as you hopelessly beat your little feet to stay afloat. When you stare down into the abyss, the abyss stares back at you. Perhaps the Minecraft comparison is unfair, though. While we would maintain that the story very much takes a back seat to the exploration and the gradual opening up of the world, the mystery it entices is very interesting and we enjoyed experiencing the surprises it threw at us, especially in the later stages of the game. We won't spoil the details, but we will say that it's not as simple as just escaping this watery wonderland you've found yourself in. Subnautica se ha convertido en la sorpresa que todos los que llevábamos años siguiendo este proyecto esperábamos. En su versión final recibimos un título perfectamente diseñado y muy pulido, que nos ofrece un planteamiento sencillo basado en la supervivencia, recolección y creación de objetos. Sobre esta accesible apariencia inicial se esconde una interesante aventura de ciencia ficción y un mundo repleto de secretos que nos atrapará desde el primer momento. 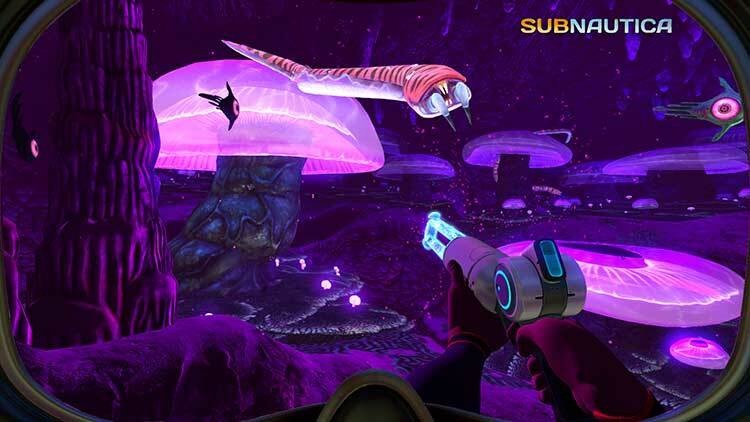 Subnautica es un soplo de aire fresco para el género del survival y una muestra de lo que se puede hacer en el terreno de la narrativa para un jugador. Con un apartado artístico envidiable se convierte en un juego muy agradable (a la parque peligroso) de recorrer. Han sido tres años a lo largo de los cuales Subnautica no siempre tuvo todas las de ganar. A pesar de que llegaba nuevo contenido a través de las numerosas actualizaciones, el juego no llegó nunca a correr de forma aceptable en nuestro más que suficientemente potente ordenador y llegamos a pensar que jamás lo haría. Pero tras un último mes para pulir el producto final, Unknown Worlds han conseguido que Subnautica aproveche cada ápice de su enorme potencial.Así, tenemos ante nosotros el que puede ser el mejor ejemplo del género de la supervivencia. 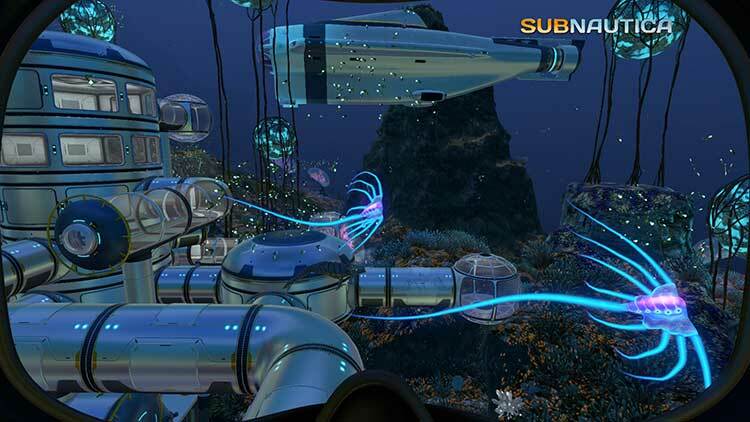 Con Subnautica he experimentado el subidón que le sobreviene a uno cuando la supervivencia más precaria da paso al éxito personal, cuando un tío con una navaja y unas gafas de bucear acaba construyendo él solo un observatorio y un submarino. Cuando uno empieza a sentir que ese arrecife con bichos explosivos que acechan desde agujeros poco profundos y escuálidos de dos metros se ocultan en la arena y lanzan dentelladas a todo lo que se acerca podría ser, por qué no, un hogar. Drumherum haben die Entwickler eine nette Geschichte gewoben. Die entwickelt sich zwar sehr gemächlich, lässt meine Neugier aber immer wieder aufflammen und verleiht dem offenen Spiel eine gewisse Struktur. In dieser Hinsicht hat Subnautica tatsächlich sehr viele Parallelen zu The Legend of Zelda: Breath of the Wild. An dessen Genialität kommt Subnautica zwar nicht heran, dennoch haben Unknown World hier ein hervorragendes Unterwasser-Abenteuer abgeliefert, das ich Entdeckernaturen nur empfehlen kann. Nach einem etwas zähen Einstieg hat mich Subnautica doch noch gepackt. Als ich mich an Probleme wie die zu mühsame Trinkwasserbeschaffung, den hölzernen Editor oder den Grafikaufbau gewöhnt hatte, zog mich die Geschichte um den rätselhaften Absturz auf einem lebensfeindlichen Planeten immer stärker in ihren Bann. Manche Tauchgänge in die idyllisch leuchtende Alienwelt sind derart faszinierend, dass ich sogar vorm Monitor die Luft anhielt. Je weiter man sich in die abwechslungsreichen, immer bizarrer designten Untiefen vorwagt, desto tiefer geht man auch den Ursachen der Unfälle auf den Grund. 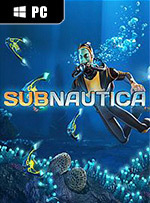 Sans conteste Subnautica est l'un des meilleurs jeux de survie de ces dernières années. Exotique, novateur et très original il a vraiment de quoi charmer le néophyte comme le vieux loup de mer du survival. C'est clairement le jeu qu'il vous faut si vous aimez l'exploration et la découverte, car les fonds marins possèdent leurs lots de surprises et de mésaventure. Sans parler du fait que pour l'une des rares fois dans le petit milieu du jeu de survie, Subnautica possède une véritable histoire et surtout une vraie fin. 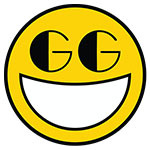 Sa boucle de gameplay, ses changements d'échelle, sa culture de l'émerveillement, sa gestion de l'angoisse des fonds marins : tout ce qu'il touche, il le change en or pur. Et les rares fois où il ne tutoie pas la perfection sont comme de minuscules gouttelettes d’huile à la surface d’un océan de bonheur. 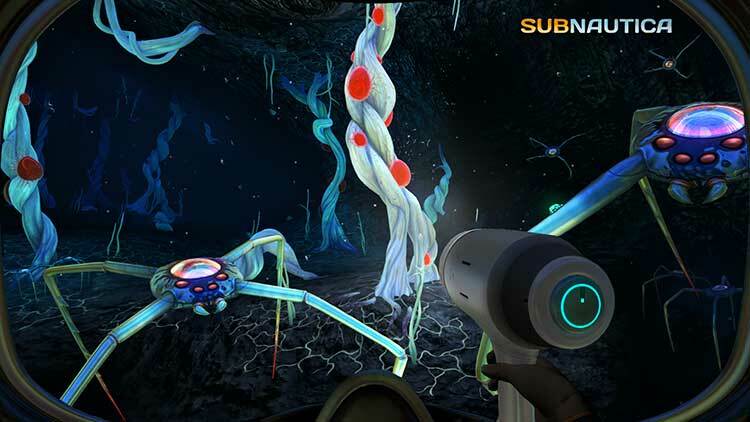 Original, riche, immersif, complet, intriguant... Subnautica ne manque assurément pas de charmes et pourra sans aucun doute vous réconcilier avec le jeu de survie si vous pensiez en avoir déjà fait le tour. En invitant constamment à l'exploration et en sachant susciter autant l'effroi que l'émerveillement chez le joueur curieux de découvrir les abysses impénétrables du jeu, Subnautica, en dépit de ses menues imperfections, s'impose tranquillement comme le meilleur survival de ces dernières années. L'ivresse des profondeurs au sens littéral, en somme. 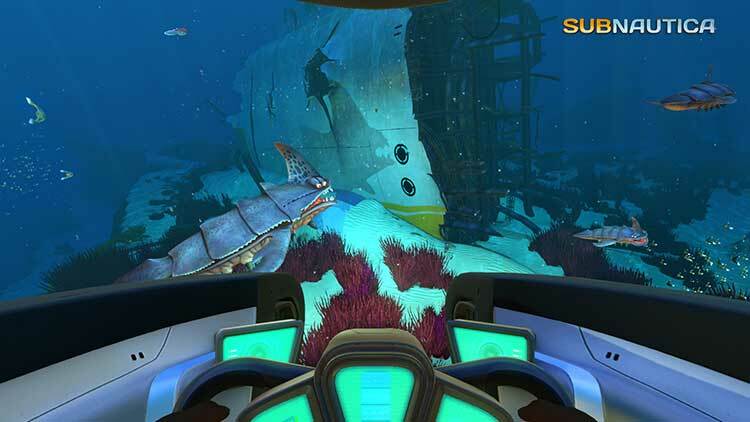 Subnautica é um template para o que deve ser feito num survival game em mundo aberto. É fantástico, diferente e assustador de uma ponta a outra. Com uma história que continuava a surpreender-me e um elenco de monstros marinhos que ainda me assombram durante a noite, mesmo depois de mais de 50 horas submerso, ainda tenho muitos segredos para descobrir. Estou pronto para enfrentar os meus medos e partir novamente para as profundezas, de modo a explorar os mais sombrios cantos deste oceano, vezes e vezes sem conta. Subnautica è uno dei migliori survival single player sul mercato, se non proprio il migliore. Per esplorarlo tutto ci vogliono decine di ore ma, nonostante la gran mole di contenuti, gli sviluppatori sono riusciti a mantenerlo coerente e interessante dall'inizio alla fine. La sostanza è che si tratta di un titolo che può appassionare sia chi conosce il genere, sia chi ne è completamente digiuno. Insomma, nonostante gli anni passati in Accesso Anticipato, non è andato alla deriva... Va bene, è una battuta triste, ma voi compratelo lo stesso, anche perché non costa moltissimo.